Known as the 10 Commandments Judge. He was the Chief Justice in Alabama until he refused to take down the 10 Commandments display in front of the court house. Son of Ron Paul and a great champion of the US Constitution. He seems to be one of the only ones fighting for your rights and privacy. Andrew Peter Napolitano (born June 6, 1950) is an American syndicated columnist whose work appears in numerous publications, such as Fox News, The Washington Times, and Reason. He is a senior judicial analyst for Fox News, commenting on legal news and trials. A Great American. He has spoken at a couple of FES conventions and is the publisher of Aid & Abet newsletter for law enforcement against the New World Order. She has been adopted nationally by grassroots leaders and small property owners across America due to her powerful conviction to the fundamental principles of freedom, property rights and individual liberty. California Superior court judge. 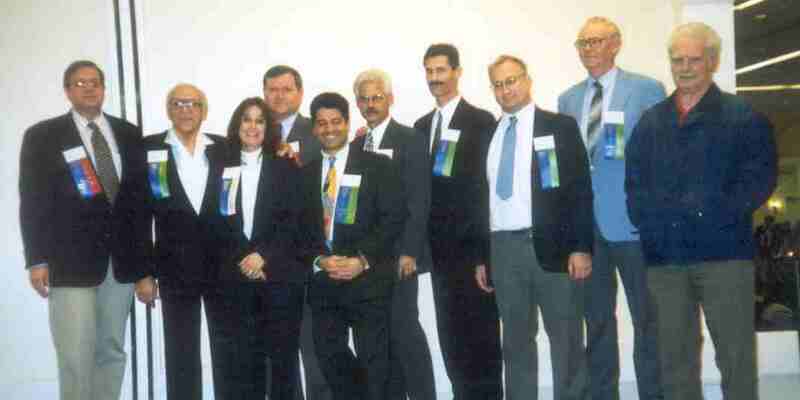 Spoke at the 2004 FES convention. He is a libertarian with strong beliefs in liberty and individual freedom. 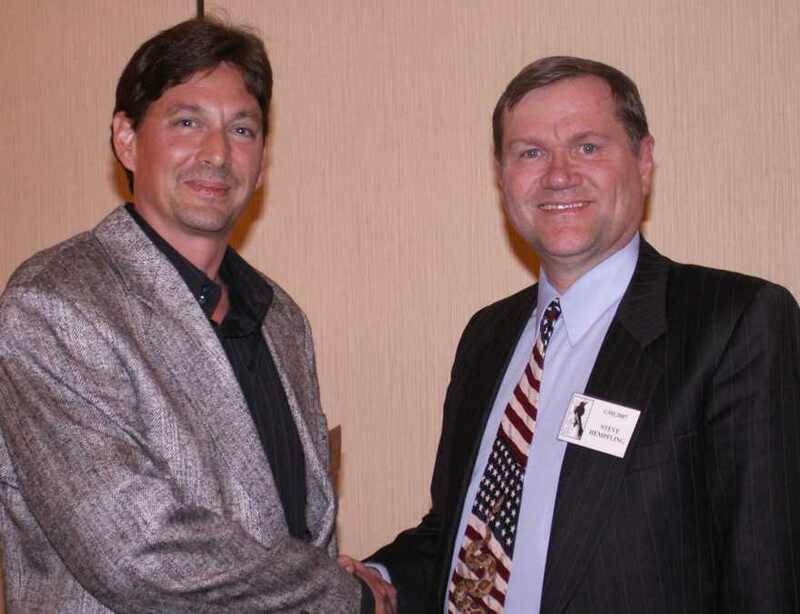 Director of We The People out of New York, Robert Shulz has been very active promoting freedom around the country. He has spoken at several FES events. The government believes that many fugitives and scofflaws attend patriot conventions. This photo of everyday Amercians at a rally banquet shows this rumor is completely false. This congressman is one of the few real patriots in elected office today. He is nicknamed Congressman NO since he won't vote for any unconstitutional legislation. Co-Author of the Law That Never Was a book that proves the 16th Amendment was never ratified. He personally went to each state and gathered this information. He appeared at many FES conventions. He is one of the few California legislators who care about the constitution and liberty. 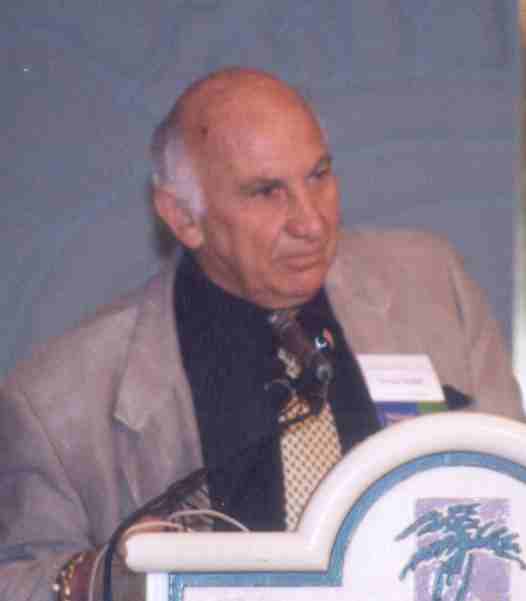 He spoke at FES 2006 convention and talked about property rights. A great patriot and attorney who has shown that he wants America to be free above all else. Has been actively fighting for over 20 years. Won many cases against the IRS. Conducted meetings all over the country and appeared on CSPAN. He has appeared at many FES events also. 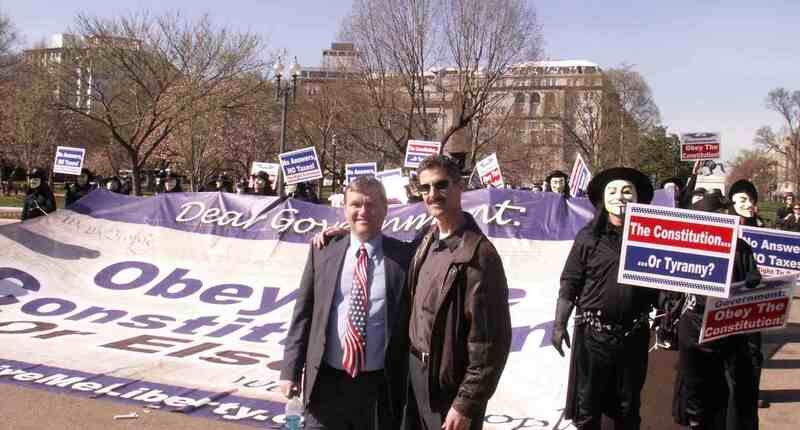 I am pictured here with Joe Banister and about 100 protesters in V for Vendetta costume in my first protest at the White House in D.C. This was in regard to the government's failure to answer questions under the "Redress of Grievance" clause of the Constitution. 2007 GML Conference 3-30-2007. One of the survivors of the Ruby Ridge incident where government snipers killed his wife and son on his own property. The government was found to be at fault, but that does not bring his family back. 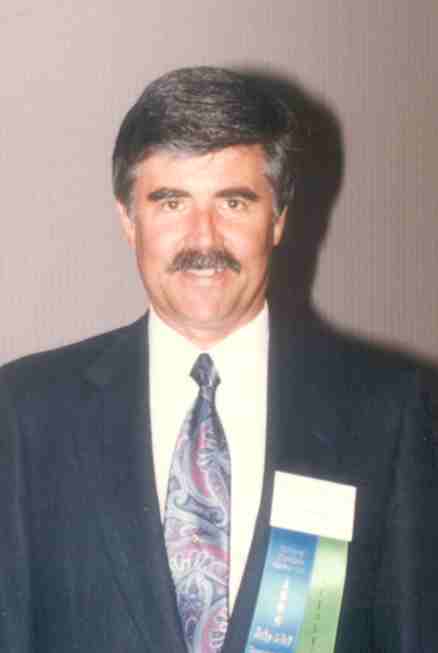 Verl is one of three co-founders along with Steve Hempfling and George Hill. FES was founded in 1985 in Clovis, California. He authored "Pied Piper of Babylon" a great book, but now out of print. Carl is a singer and song writer. Not just any old songs but patriot songs about freedom and incidents like Waco to help us remember. Provided great entertainment at many FES events. Devvy has been promoting freedom for a long time. Visit her on the web at www.devvy.com She is a great patriot and has spoken at several FES Conventions. 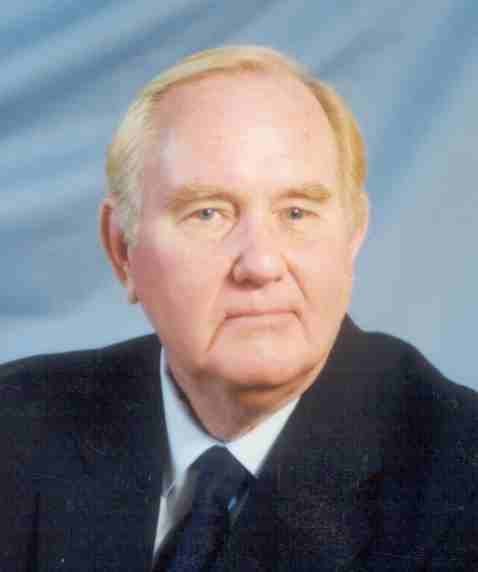 One of the few elected officials I have ever met who believed in the Constiution. He fought the IRS and other agencies in his search for the truth. He was a speaker at several FES events. 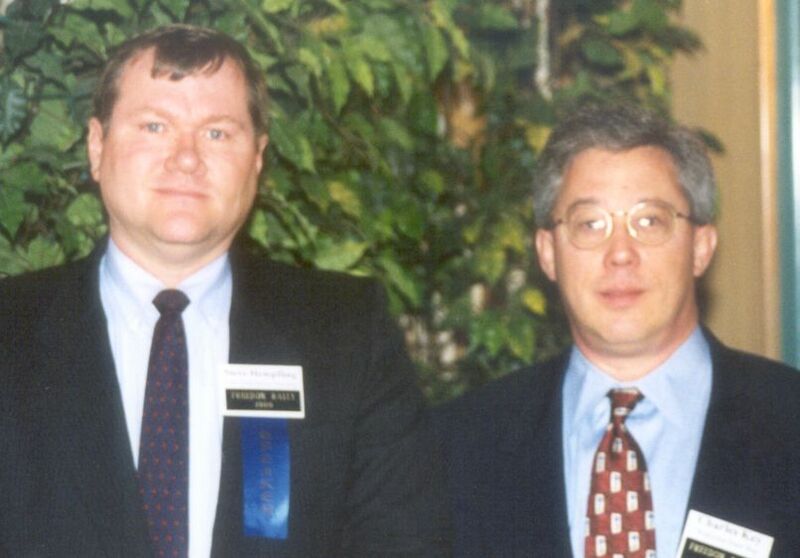 I met Fred at the 1996 FES Convention where he discussed his major victory over the IRS. He was aquitted of all counts of Failure to File Income Tax Returns. A true American Patriot. Wrote a book about IRS illegal tactics and even spent time in jail for exposing the truth about the IRS. Was a keynote speaker at several FES conventions. 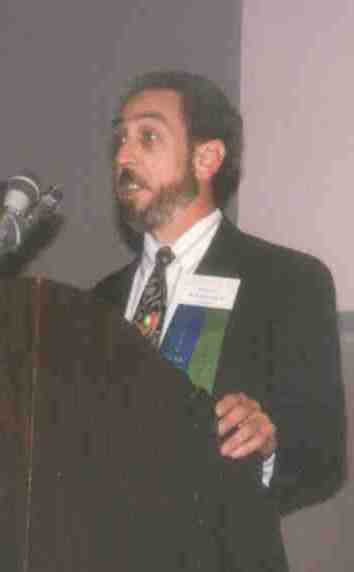 Spoke at the 1996 FES convention. He along with another sheriff sued the US over the Brady bill and won. The Brady Bill "required" the local sheriff to do background checks for gun buyers. His position is that he does not work for the U.S. and won't do it. Former owner of KDNO Radio. Helped found Truth Radio Network and has done a great deal to help inform people about important issues. I had the privilege of being on his program a few times. He is shown with his wife. There aren't many attorneys in the freedom movement. Jeff is one of them. 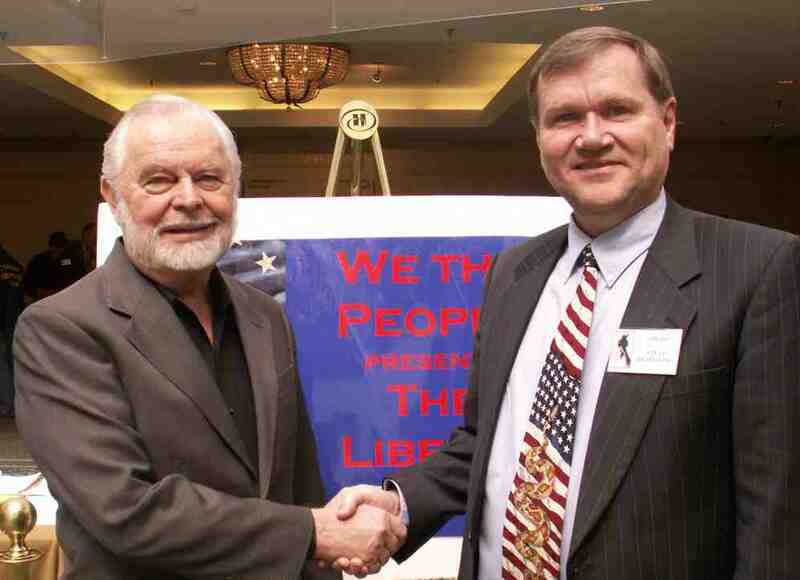 A true freedom champion and involved with Joe Banister's big win against the IRS in 2005. 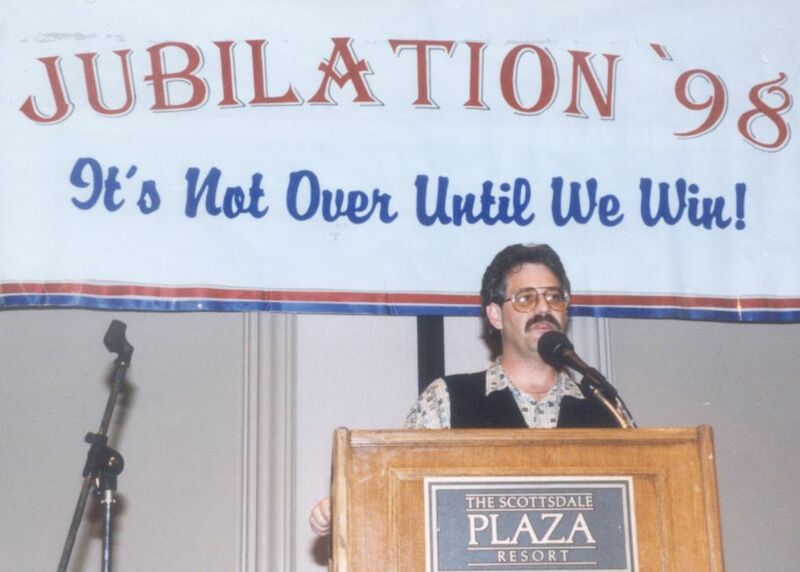 Jeff spoke at the 1996 FES convention. This is the entire speakers list for that year. From left to right: Bret Brough, Bill Benson, Devvy Kidd, Steve Hempfling, Peymon Mottehedeh, Judge Rizzo, Joe Banister, Richard Forest, Red Beckman, Des Griffin. A licensed attorney who has the courage to take on the IRS. He started looking at the IRS issue to save a friend he thought was being deceived. However, he found his friend was right. 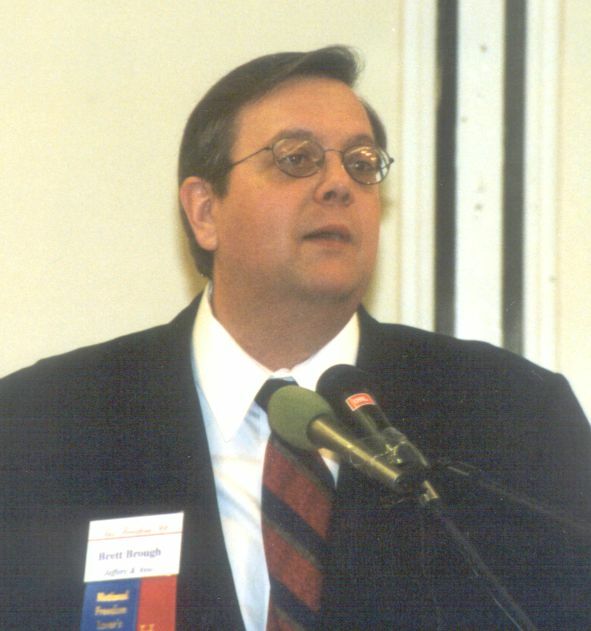 Pictured at the 2007 GML Conference in D.C. 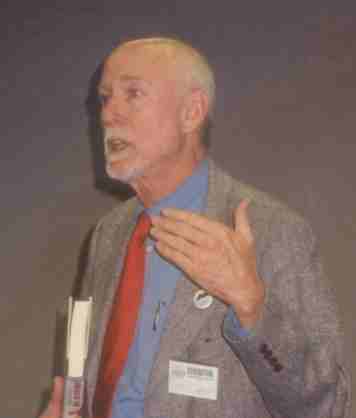 Author of several books on rights. Spoke at some of FES conventions. Also led 5 FES Members to a victory against failure to file charges. Great attorney. Was a member of the US Justice Department. Being open minded, he looked at the evidence of the income tax and concluded the income tax was voluntary. 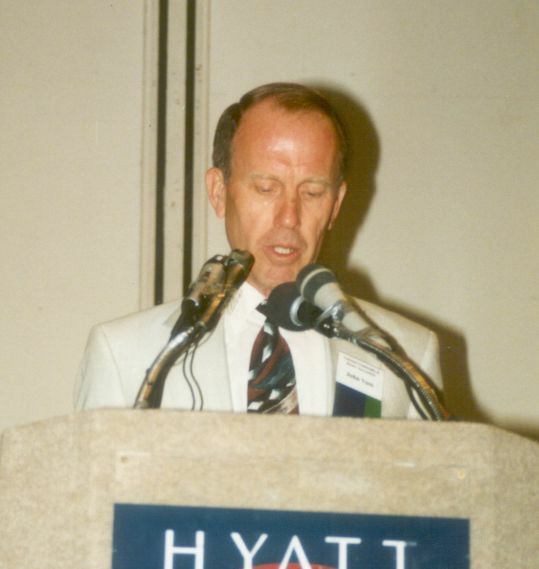 Spoke at the 1995 FES convention. He commented it was like a weight lifted off his shoulders by talking about it. 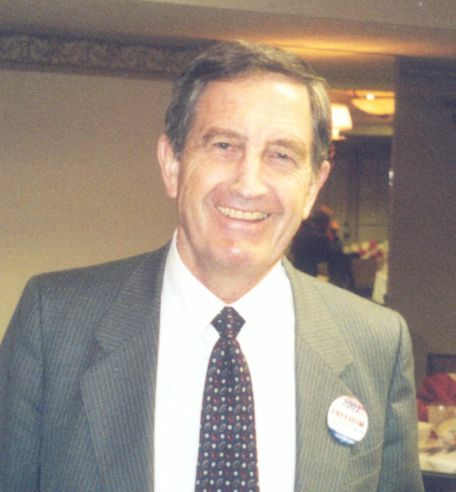 Irwin authored How Anyone Can Stop Paying Income Tax, The Federal Mafia, The Social Security Swindle and many others. Spoke at numerous FES conventions. A dedicated patriot. Former FBI chief. Spoke at several FES events. 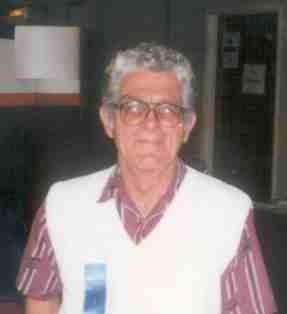 Seen here at the 2004 event in Sunnyvale, California. He is very disappointed with the lack of integrity in government today. Investigative reporter and author. 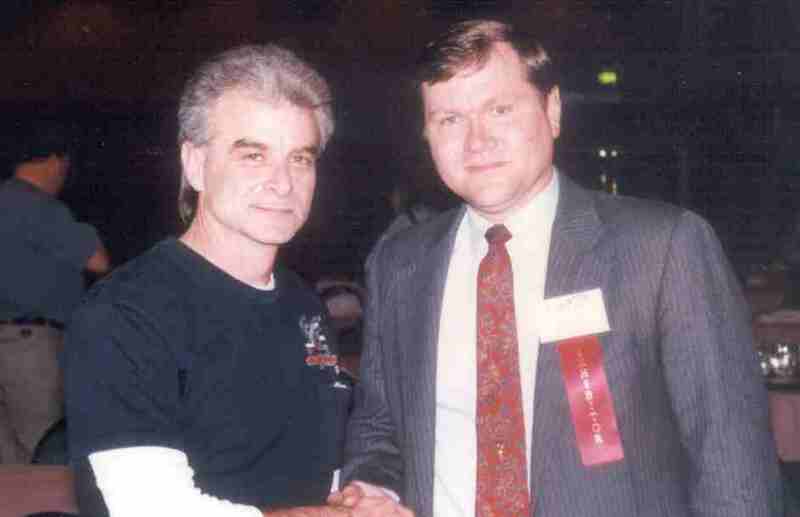 He did investigations on Ruby Ridge, Oklahoma City bombing, and many other incidents. Published articles in American Free Press, Media Bypass Magazine and more. 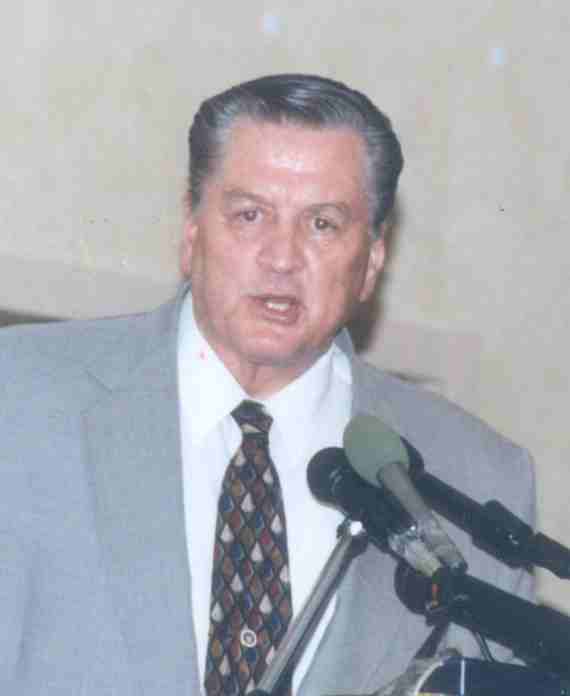 Spoke at the 1994 FES convention. 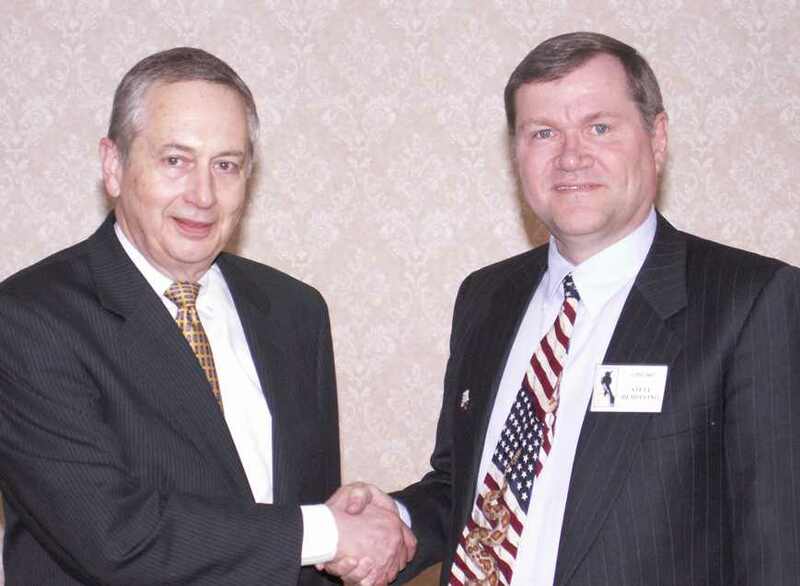 Richard Flowers ran the Christian Patriot Association for many years. They published many books and had the largest catalog of patriot reading that I have ever seen. Author and lecturer. He was a regular at meetings years ago. Author of Miracle on Main Street, a classic patriot book on money and the Federal Reserve. More recently he published "Rulers of Evil." Passed away 03-16-2007. His intellect and humor will be missed. 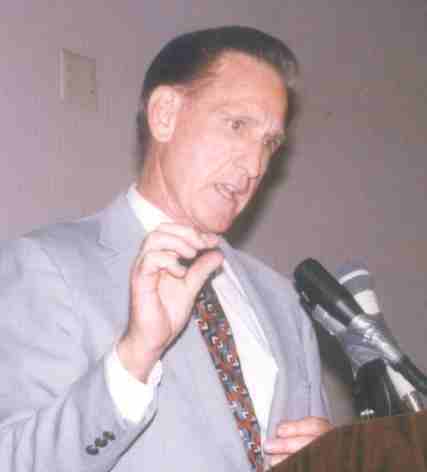 Founder of Freeman Education Association in Oklahoma. He helped educate many people from all parts of the country. Authored several books. He spoke at several FES events over the years. He passed away in 2006. He wrote several guide books, Laymen Guide to the Freedom of Information Act being the most well known, and which we carry in our catalog. Lives in Payson Arizona. 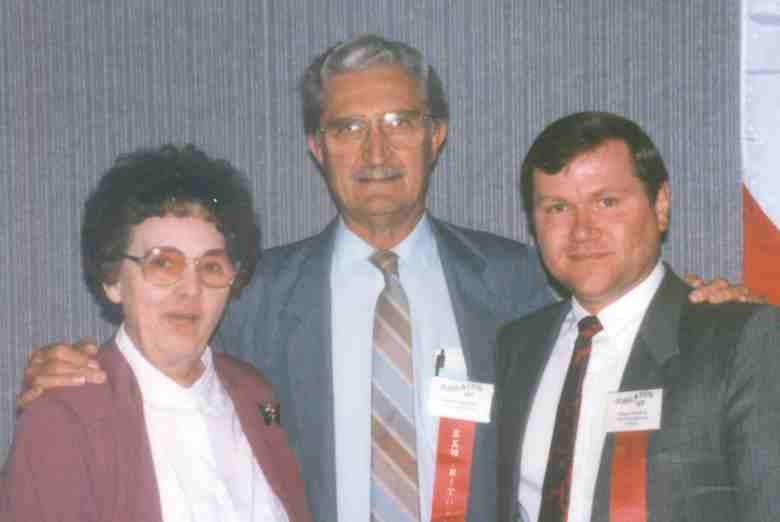 I am pictured here with George Hill another Society co-founder and Shawn O'Connor, the Support Service Director. George Hill passed away in 1992. 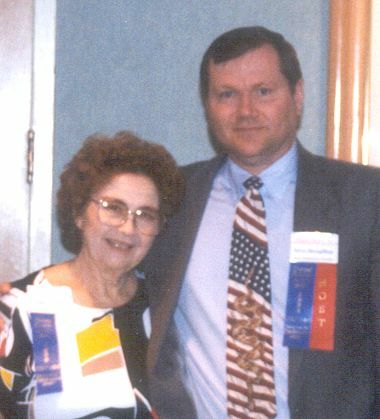 Anita, along with her husband A.J., published The Justice Times, a great patriot newspaper. This was the largest anti-tax publication through the 1980's. Although they have both passed away they will always hold a special place in my heart. A great para-legal from the Denver area. 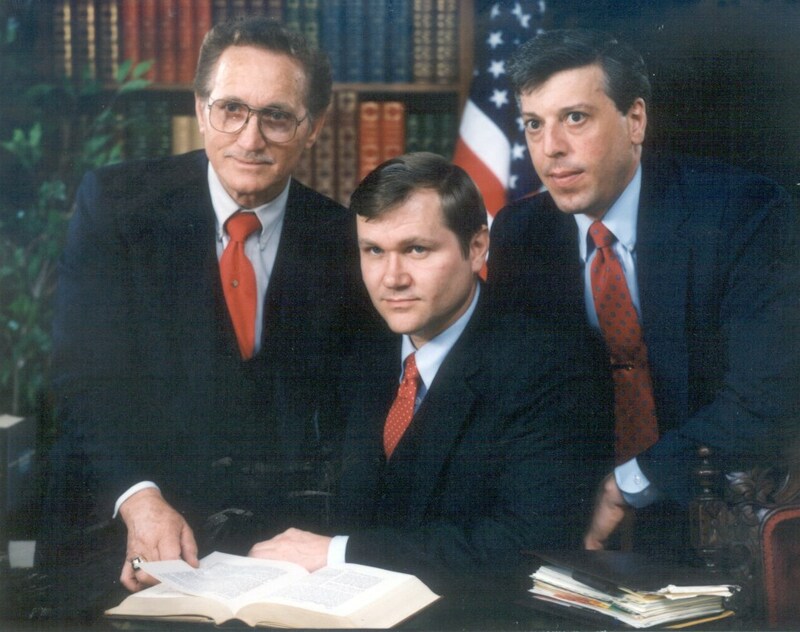 He was instrumental in developing many legal strategies that are still used today. Also spoke at many FES conventions. Author of Fourth Reich of the Rich, Storming the Gates of Hell and Descent into Slavery. Spoke at several FES Rallies. 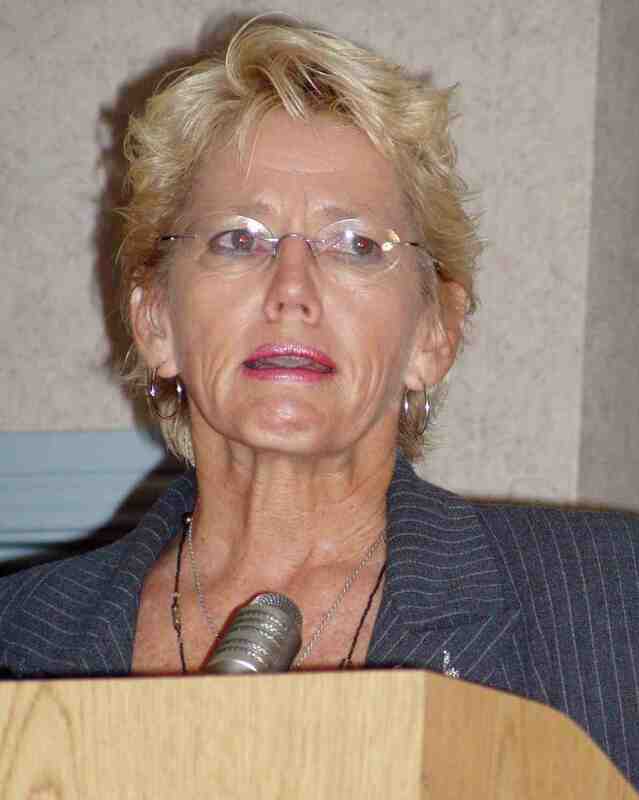 Director of the National Commodity and Barter Association of Denver, Colorado. 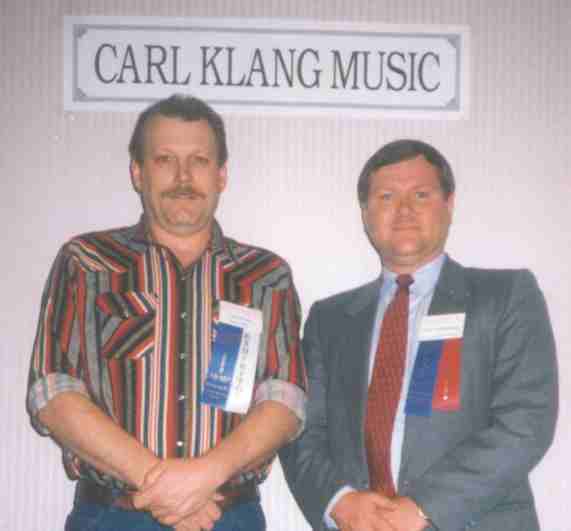 Shown here at the 1995 FES convention. 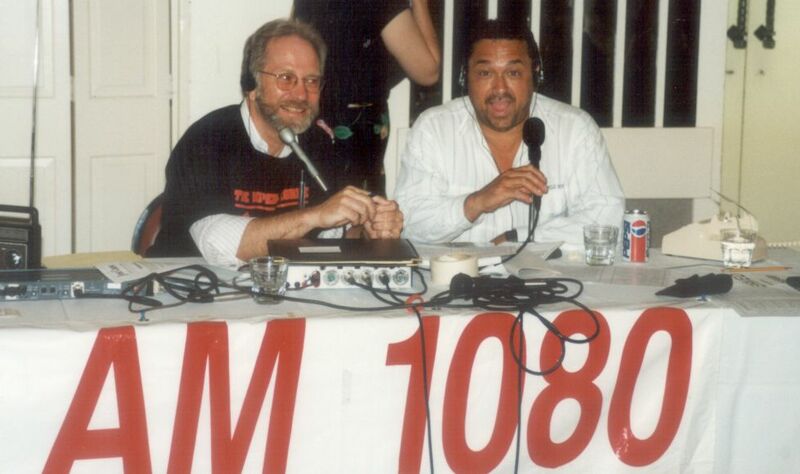 Radio personalities attended and broadcast live at our 1995 Freedom Rally in San Jose, California. Pictured are host Andy Anderson (left) and Dave Allen. Published the Jubilee Newspaper and later the Media Bypass Magazine. Pictured here at his 1998 Jubilation Rally in Scottsdale, AZ. 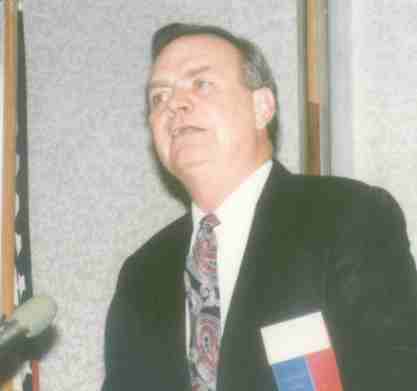 Oklahoma Representaive spoke at the 1995 FES convention. He headed up the Oklahoma Commitee on the bombing and published the Final Report available in our catalog. 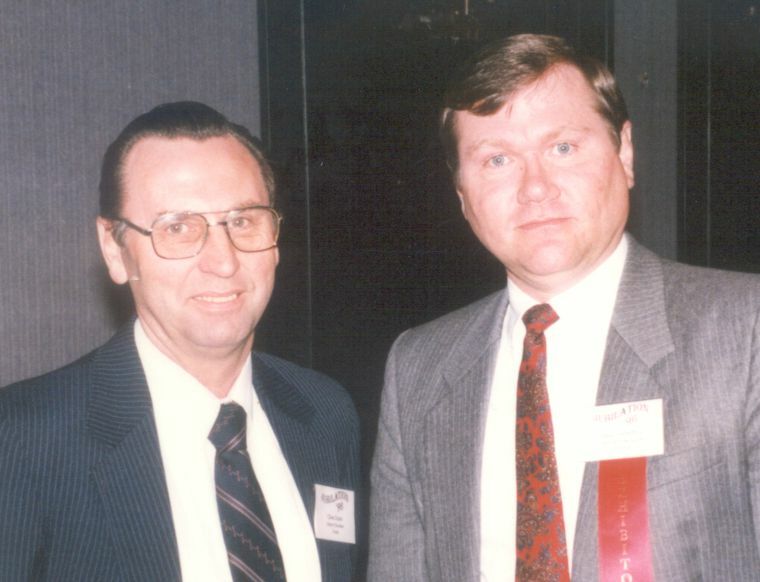 Author Bill Still pictured here with Idaho Repre- sentative Phil Hart. 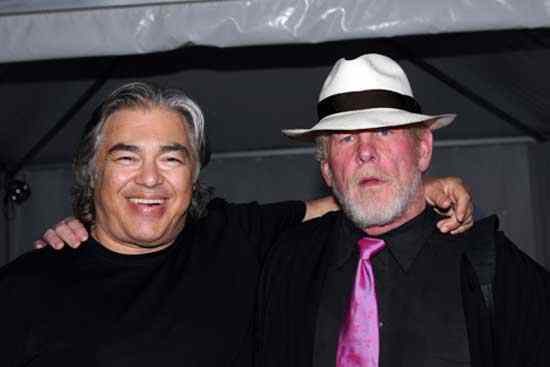 Both of them spoke at the 2006 FES convention. Bill Still produced the excellent documentry The Money Masters. Phil Hart authored the book Constitutional Income, Do You Have Any? The government filed a criminal charge against Lawrence and eventually dismissed the case and did not go to trial. He told his story at the 2006 FES convention. He was a survivor from the World Trade Center bombing. His account of what happened does not match the official story. 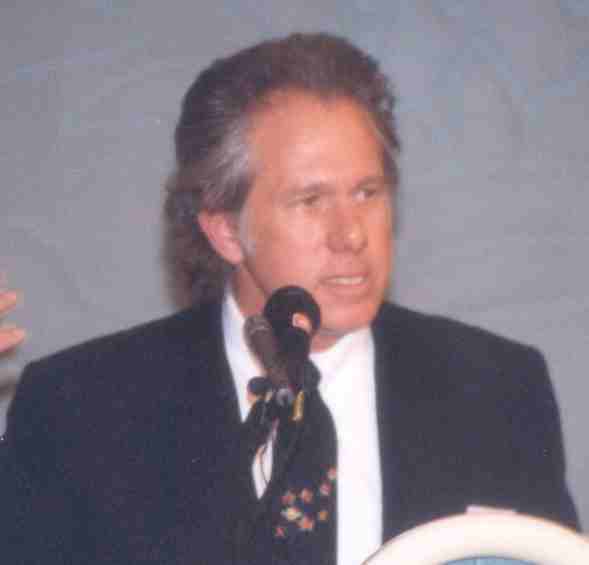 He spoke at the 2006 FES Convention. DVD's are available. Very interesting. Co-Author of The Law That Never Was. Author of Walls in Our Mind, Do Unto the IRS as They Would Do Unto You and many others. Spoke at many FES events. A FedEX pilot who took on the IRS and won a major victory in 2003. She was aquitted on all charges of failure to file income tax returns. The jury was not happy with the government's case. 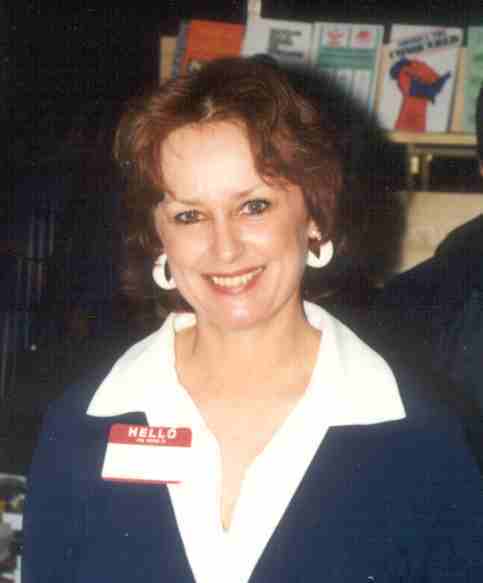 She told her story at the 2004 FES convention. Clive is one of the few survivors of the 1992 Waco Texas seige. It was a pleasure to meet him and hear his story. His story is shocking, and the IRS, BATF and the FBI have never recovered from the bad publicity of the murders of the Branch Davidians. A great member of FES. He sued and won over 250,000 from the California Franchise Tax Board. As a followup he helped dozens of others sue them, also. 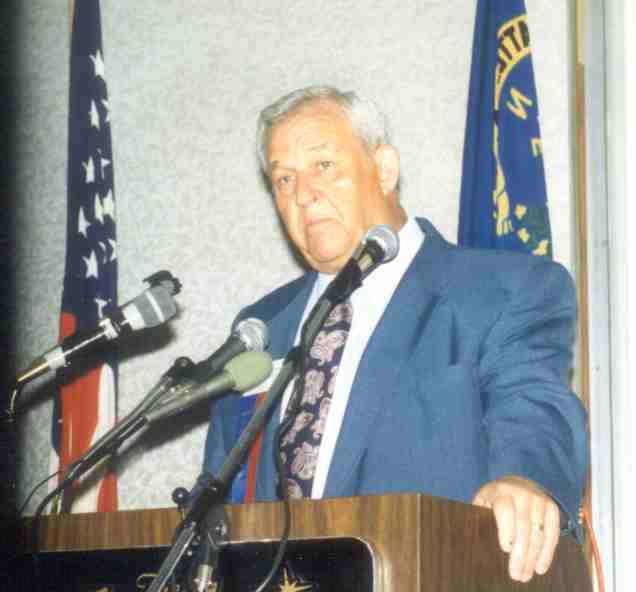 John, a former IRS collection agent, spoke at the 2002 FES convention. Now believes there is no law which requires a person to file income tax returns. 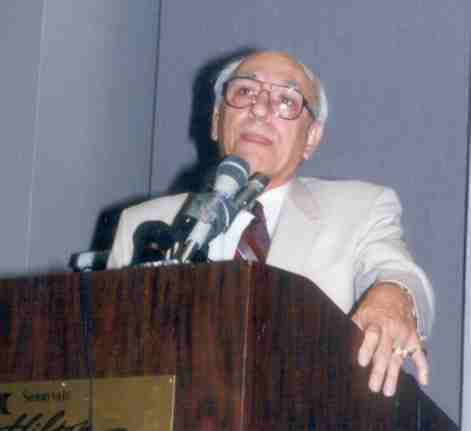 Leo was one of the best known and most skilled legal minds in the movement. 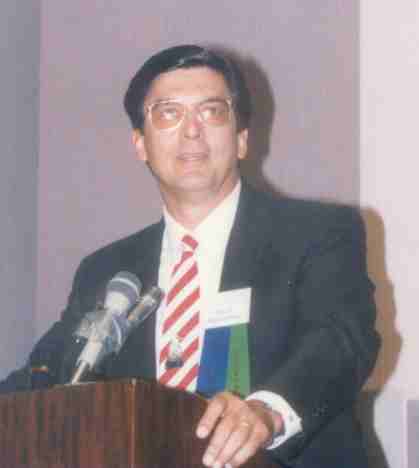 He was a former attorney and spoke at the 2003 FES convention. 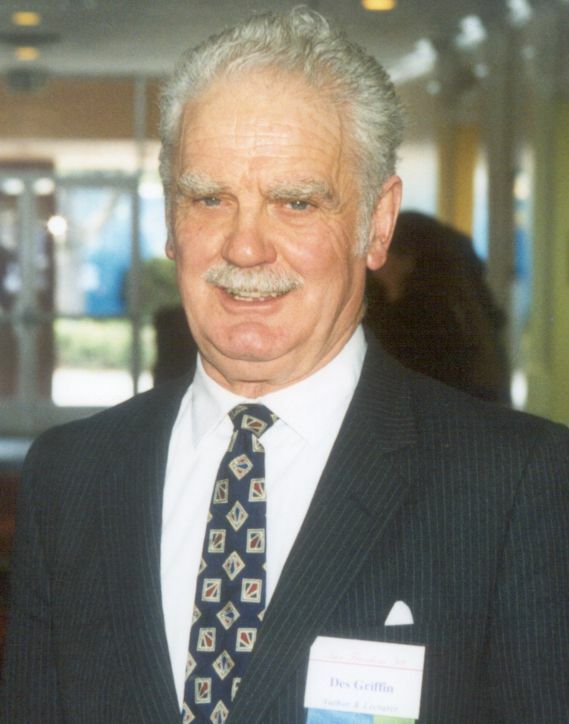 He passed away in 2006 and is missed every day. Robert has run his patriot organization longer than I can remember. He is from South Carolina and founded Patriot Network which operates in many states. He spoke at some FES events. April is a survivor of the 9/11 attack. She was in the Pentagon when it was attacked and does not believe the official story. She is pictured here with William Rodriguez, a 9/11 survivor from the Towers. Anthony is a producer of many freedom oriented documentaries. Hopefully one or more of them will become nationally known and create debate and a return to freedom. A former IRS Special Agent. He now believes that the income tax is VOLUNTARY. He wrote a report and gave it to his superiors, and they asked him to resign instead of answering the questions he had. 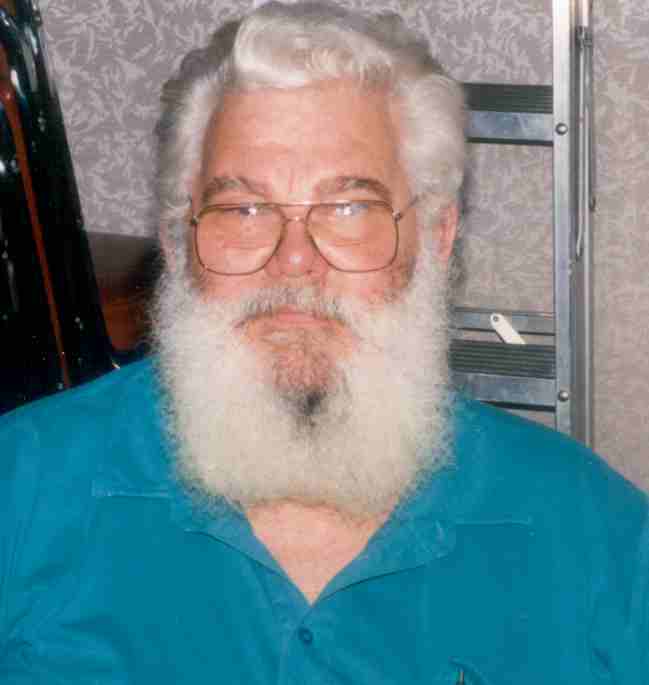 Recently retired Physics Professor from Brigham Young University. He is one American who is willing to speak out about the 9/11 issue. He shows scientifically that the government's story is impossible. Pictured here at the Cannes Film Festival in Europe. This was at the opening of his documentary America - Freedom to Fascism, a must see film. Founded the "Muckraker Report" in 2002 and has become a fast growing truth newssource. A former marine who takes his oath to the US Constitution seriously. 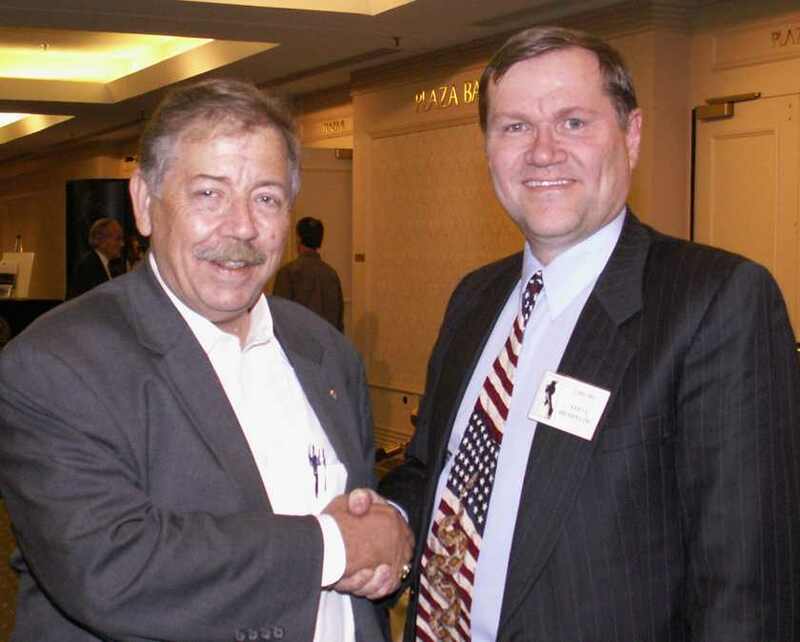 Pictured at the 2007 GML Conference in D.C.
National Director of Gun Owners of America, a great gun rights group. 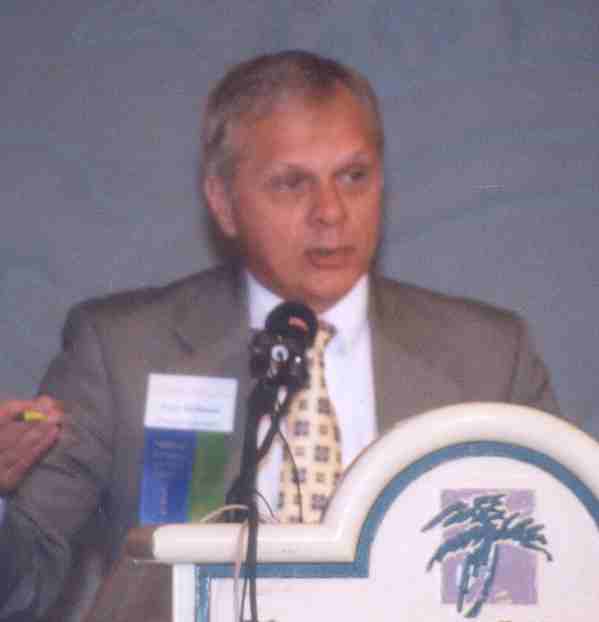 He is pictured here at the 2007 GML Conference in D.C. in March. Author and lecturer. Best known for "The Creature from Jeykyll Island," the best book on money and the Federal Reserve that I know of. Pictured here at the 2007 GML Conference in D.C.
Gary Johnson was Libertarian candidate for President. Thomas E. Woods, Jr., is a senior fellow of the Mises Institute and host of The Tom Woods Show, which releases a new episode every weekday. Author and lecturer. Best known for his writings about the 861 argument in regard the the IRS.